Mount Olympus is the tallest mountain in Greece, and it's a popular tourist attraction. It’s also the home of ancient Greece’s 12 Olympian gods and the Throne of Zeus. Zeus was the leader of all gods and goddesses. From his throne on Mount Olympus, he is said to have shot out lightning and thunder, as an expression of his wrath. Zeus is one of the key gods to know in the Greek pantheon. The peak was also Greece’s first national park and is a biosphere reserve known for its plant life. Mount Olympus is on the border of Macedonia and Thessaly. The Temple of Olympian Zeus in Athens is the easiest of his temples to visit. You can also visit the peak of Mount Olympus. 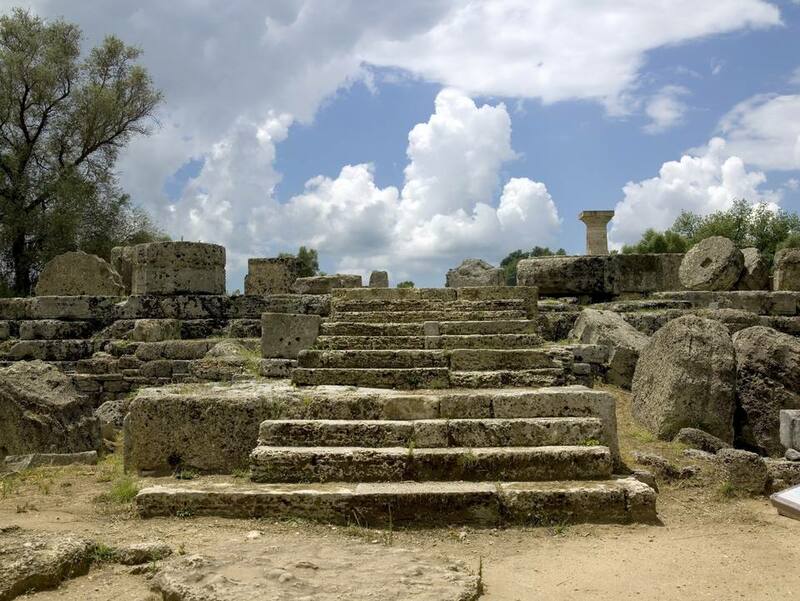 There is also the temple of Dodona in northwestern Greece and the temple of Zeus Hypsistos (the "most high" or "highest") at the archaeological site of Dion at the foothills of Mount Olympus. Zeus is most commonly believed to have been born in a cave on Mount Ida on the island of Crete, where he took ashore his kidnapped bride Europa at the beach of Matala. The Cave of Psychro, or Diktaean Cave, above the Lassithi Plain, is also said to be his birthplace. His mother is Rhea and his father is Kronos. Things got off to a rocky start as Kronos, fearful of being usurped, kept eating Rhea's children. Finally, she got wise after giving birth to Zeus and substituted a swaddled rock for the infant. Zeus conquered his father and freed his siblings, who were still living in Kronos' stomach. Unlike mainland Greeks, the Cretans believed that Zeus died and was resurrected annually. His tomb was said to be on Mount Juchtas, or Yuktas, just outside of Heraklion where, from the west, the mountain looks like a giant man lying on his back. A Minoan peak sanctuary crowns the mountain and can be visited, though these days it has to share space with cellphone towers. Hera is his wife in most stories. His kidnapped bride Europa is his wife among the Cretans. Other legends say Leto, mother of Apollo and Artemis, is his wife; and still, others point to Dione, mother of Aphrodite, at Dodona. He is reputed to have many children; Hercules is one famous child, along with Dionysos and Athena. There are several stories about Zeus in Greek mythology. In one, Zeus, king of the gods of Mount Olympus, fights with his beautiful wife, Hera, and drops down to Earth in a variety of disguises to seduce maidens who catch his fancy. On a more serious side, he is depicted as a creator god who is sometimes considered to be too friendly to humankind by his peers. Some experts say they believe that not all the names of Zeus really refer to Zeus, but instead refer to similar gods popular in various areas of Greece. Zeus Kretagenes is the Zeus born on Crete. Another early name of Zeus was Za or Zan; the words Zeus, Theos, and Dios are also all related. The movie "Clash of the Titans" associates Zeus with The Kraken, but the non-Greek Kraken is not part of the traditional mythology of Zeus.